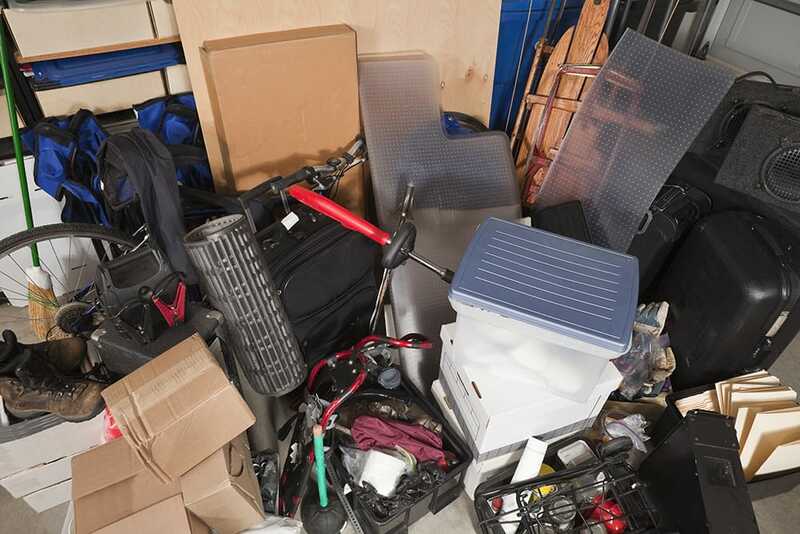 While you may not be the next contender for an episode of TLC’s “Hoarders,” you probably have a little extra junk taking up space in your home. Everyone does. But that doesn’t mean you’re destined to live an unorganized life of clutter. You might just need a little “Pin-spiration” to get you on track to a jumble-free house. If you want to organize like the best, you need to learn from the best. The Declutter Coach is led by none other than Certified Professional Organizer Deborah J Cabral. She and her team feature a variety of Pinterest boards ranging from organization and full room redesign to inspirational quotes to help you achieve your clutter-free dreams. Here you’ll discover some of the must-have solutions, arrangements, and purchases to help you stay organized, along with Deborah’s very own motivational messages to guide your experience every step of the way. Solopreneur Nicole Lynn has been professionally decluttering spaces since 2013, and she’s got the massive amount of pins to attest to her abilities. You’ll find advice and hacks for every room of the house for every member of the family, as well as how to stay organized on-the-go. But it doesn’t stop there. Because of Decluttered Spaces’ commitment to your success, you will also find a multitude of pins that tells you exactly how you can recreate solutions in your own home, either by purchasing finished items from a store or making your own. Founding mother Kristi Meyer isn’t for the faint of heart. She’s climbed some of the highest hoarding mountains imaginable, and knows how to move those mountains to clear the way for simple, guilt-free living. As a combatant of hoarding, The House That Clutter Built has kept its pin boards to a minimum to make for easy navigating. (Kristi takes clutter very seriously!). You’ll benefit from infographics of organizing tips, DIY projects, and decorating ideas to spark your creativity. The popular Canadian home organization company is brimming with Pinterest ideas to inspire your tidy-home dreams. From showcasing organization solutions they sell to providing you with projects you’ll actually want to use, there’s not a single room in the house that will be left un-spruced. Lamb’s belief that every home can look like a Pottery Barn catalog is reflected in her array of stunningly crafted Pinterest boards. She includes an abundance of beautiful projects for birthdays and holidays, as well as treatment options for lesser-prioritized areas like the pantry, linen closet, and your personal files. As a working mom of twins, new Clutter Interrupted owner Aimee knows as well as anyone that cutting the home congestion takes willpower and resolve. Given her busy lifestyle, Aimee’s drive and dedication stems from desire to simplify her own life. And in doing so, she aims to project her simplistic ways to others. Follow her on Pinterest to glimpse motivating messages to help you achieve a mess-free home. You’ll also discover a variety of organizational projects for all areas of the home that range in skill level and budgets. She also features a few craft and decor ideas to give your home a polished look you’d think came straight from a professional. Becky Rogers and her “purge pals” know how to cut through the congestion without chopping your sentimental values. Their team members have backgrounds in real estate and homemaking, and understand what functional living looks and feels like. If you want a real estate-grade staging or simply want to find the rightful home for every little out-of-bounds item in your home, you’ll find everything you need from Organize My Clutter’s Pinterest boards. They feature a variety of green-friendly solutions, such as how to donate or recycle your old items. Getting rid of the clutter is a crucial step toward a happier home, but no amount of clutter relief is complete without honest-to-goodness cleanliness. No More Clutter emphasizes the need for not just eliminating all the piles and random item placement, but also keeping your home as clean as it is tidy. On Pinterest you can check out No More Clutter’s recommendations for keeping your fridge and carpets clean, as well as other easy hacks that will make you wonder how you ever lived without them. Entrepreneur Lorie Marrero is many things: wife, mom, business consultant, branding coach. And it takes a high level of organization to achieve everything she does. Lorie’s Pinterest boards are covered with home transformation projects, such as closets, kitchens, and entryways. She even dedicated a board specifically to decluttering on the cheap with Goodwill finds and anyone-can-do-it hacks. You know your organizational skills are sick when you have to call in the Clutter, MD. They specialize in home and office organization, as well as helping clients move locations while preventing them from taking the junk stockpile with them. Follow them on Pinterest to gain insight on crafting simple, functional organization solutions for every room in your house. They also provide expert moving and packing tips and holiday decor organization. Parting with your belongings isn’t always easy, even if it’s in your best interest. If you find yourself struggling to say goodbye, consider renting a storage unit to house your beloved possessions. This way, you can still enjoy a clutter-free home but won’t have to feel the regret of sacrificing something you’re not quite ready to part with. Find a Value Store It location today to discover how we can help you create the tidy home you’ve always dreamed of!